Remember Harvey Keitel in Bad Lieutenant? It’s surprising that Melissa McCarthy hasn’t played the server from hell in a movie called Bad Waitress. There are so many possibilities and you don’t even need a script. It could be filmed a little like reality TV by placing the comic star in almost any twenty-four Greek diner and letting the kitchen provide the gags. The movie might open with a late middle-aged foursome arriving for dinner carrying with them an ice chest and their own Styrofoam containers in which the leftovers would be taken. Everyone is naturally gluten adverse and on the look out for itinerant trans fats permeating the atmosphere of these establishments (even when they don’t touch fried foods) much like third hand smoke. The women are ordering breakfasts when it’s dinner time and if it’s a breakfast gathering the men will be ordering dinner. Here’s a simple order that would have great comic potential: two poached eggs and a lightly cooked waffle. Just try to make that order in almost any diner in the city and you will get one poached egg with a burnt waffle. Naturally there's a reason for everything and this continuing state of affairs is not the result of a communication problem but because short order cooks tend to be angry people. Wouldn’t you be, if you had to endure the abuse they take on a daily basis? So it’s a breakfast and one of the men are ordering the following dinner menu: chicken rice soup (hot) and a triple decker turkey club with seven grain bread as a concession to abolitionists who want to rid the world of white flour. Naturally the soup is cold with the sandwich coming on white toast. Here's where our hefty actress famous for her explosive comic energy comes to the fore. Naturally she plays a Russian who trained in the Gulag. You may remember the senseless gun shot in Chekhov’s The Three Sisters in which Solyony the disaffected soldier kills the Baron. Here’s the place where our Melissa McCarthy character will have her big scene, nodding calmly towards her customer as she takes back the order, disappearing behind the kitchen doors and sending the dishes flying with a crash that is heard around the world as a hit on YouTube. 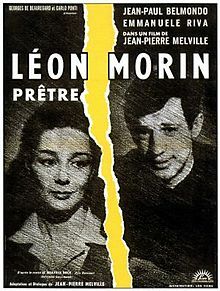 Jean-Pierre Melville’s Leon Morin, pretre (1961), which is currently being revived at Film Forum, takes place during the Nazi occupation of France. But the narrative really takes the form of a series of revelations that mirror the spiritual conversation between a priest, Morin (Jean-Paul Belmondo), and Barny (Emmanuele Riva), the widow of a Communist. 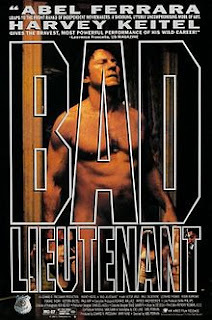 For a director who’s known for his long takes the scenes in Leon Morin are all relatively short separated by old fashioned wipes which create a visionary sense of the world. The screen is constantly populated by new evidence of both an existential and transcendental nature (the night time rumblings of invading armies and the buttons on a frock). The antipodes of collaboration and resistance presented more histrionically in movies like Roma, citta aperta (1945) are more subtly rendered by Melville, as is the slow conversion of Barny, who's an atheist at the start of the film. Essentially Leon Morin is an extended conversation. It’s My Dinner with Andre (1981) set during the Second World War with theological and teleological themes taking the place of the philosophical discussion that characterized the Louis Malle classic. The claustrophobic spirituality of Leon Morin also recalls Robert Bresson's Journal d'un cure de campagne (1951). You may remember Emmanuelle Riva from Hiroshima, Mon Amour (1959) and there’s a curious similarity between Leon Morin and the Resnais classic, in the way in which the chemistry of love becomes a pretext for examining the strivings of the human soul. 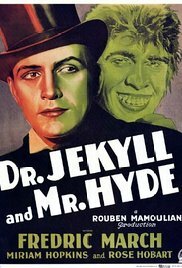 Can An "As If" Personality Act "As If?" In his review of Barbara J. King’s wonderfully titled Personalities of the Plate (TLS, 4/28/17), Richard Smyth provides the following précis: “We meet beloved pigs named Esther and Ursula and a ‘therapy chicken’ called Mr. Henry Joy”, who is described as ‘gentlemenly.’” But the reviewer finds "that farmyard anecdote is too often deployed where foresensic analysis would do a more effective job.” Personalities of the Plate, despite its colorful title is compared invidiously to works which deal more effectively with animal consciousness such as Temple Grandin’s Animals in Translation. But titles are the thing to capture the conscience of the king. Consider some of the others which cited in the piece: Tense Bees and Shell-shocked Crabs, Are We Smart Enough to Know How Smart Animals Are? Beyond Words: What animals think and feel and last but not least The Soul of an Octopus. 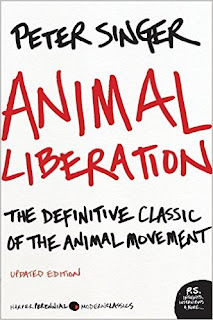 Smyth explains that King "describes herself as a 'reducetarian' rather than an 'abolitionist.'" However, let’s face facts. It’s plainly apparent that animals have feelings. Just look in the window of any puppy mill or look at the fish banging their heads up against the aquarium in the local Chinese place. True pigeons don’t seem very bright. Perhaps they’re fair game. 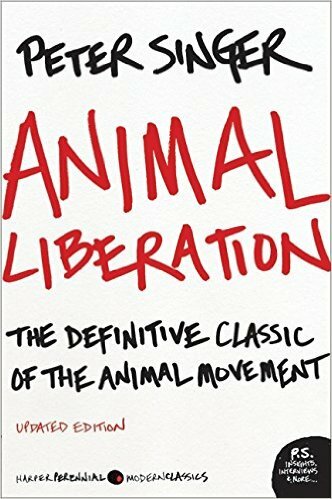 The philosopher Peter Singer, who is the author of a tome entitled Animal Liberation, has pointed out that babies are not fully conscious people and "the life of a newborn is of less value than the life of a pig." But it’s a dog eat dog world and if you're going to eat man’s best friend as they do in some parts of the world, you’re going to have to forget that he or she has a mind and just think of them as meat. Part of the attraction of shock jocks is that they supposedly say what they think—what they think and everybody else is afraid to say. The rest of humanity is left in a purgatory in which the movements of honesty versus civility compete for the attention of the humanist who seeks to do the right thing. You may have seen the advertisements for a new therapy app which allows you to carry on a text relationship with a therapist and for a generation weaned on value of expression, there are numerous outlets, including 12 step recovery programs and other support groups. On the other hand the self-same advocates of psychiatric intervention may very well find themselves in situations where the overarching need to get along with others in a spirit of compassion and love involve a certain degree of dissembling. Telling the truth in this context is not the only truth. You may hate someone one day, but discover that a tolerant attitude opens up doors that had previously been closed. It’s easy to look at those you dislike as enemies who you wish to defeat. It’s easy to hate someone of a different political persuasion. However, when they become objectified as an enemy, you never get the chance to see them in another light. That’s what happens during wartime and it’s what permits killing. The real question is how to reconcile the desire to speak the truth with the desire to break down the walls that exist between individuals. It’s a balancing act that depends on cultivating the seemingly contradictory quality of fearless restraint. Is Hate a Form of Love?